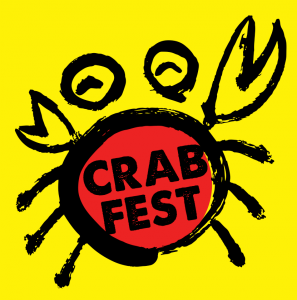 The Japanese American Cultural and Community Center will hold its CrabFest on Saturday, Oct. 25, at 5 p.m. at Nishi Hongwanji, 815 E. First St. in Los Angeles. Enjoy all-you-can-eat Singaporean chili crab legs and side dishes prepared by Starry Kitchen (one of The L.A. Times’ Jonathan Gold’s 101 Best Restaurants in L.A.), and beer provided by Angel City Brewery. This fall fundraiser for the JACCC is sure to be a special evening of delicious food, beverages, crab, and great company. Starry Kitchen will prepare its signature dish, Singaporean Chili Crab, along with an array of tantalizing side dishes. The award-winning restaurant will also be serving its famous garlic noodles, prepared with the foodie-acclaimed Sun Noodle ramen. L.A.’s own Angel City Brewery, located in the Arts District near Little Tokyo, will be pouring its Gold line Pilsner and Angeleno IPA. Ticket purchase — $75 general, $65 for children 12 and under — comes with all-you-can-eat crab, side dishes, and one complimentary beverage. There will be a no-host bar. For sponsorship inquiries or questions, contact Janet Hiroshima at [email protected] or (213) 628-2725, ext. 128.